The Sisters of St. Francis celebrated Jubilee on July 21 at Prince of Peace Catholic Church in Clinton. Sisters Mary Paul Hummer and Rosalie Noder celebrated anniversaries of their entry into the congregation 70 years ago. Sisters Kathleen Cleary, Judith McKenna, Dorothy Stolmeier, Shawn Kelley, and Paschal Hocum celebrated 60-year anniversaries. Click HERE to read excerpts from the homily by Bishop Thomas Zinkula of Davenport at the Jubilee Mass. Over her 70 years of religious life, teaching meant the most to Sister Mary Paul. She taught English, French, Latin, history, and literature as well as elementary classes. In Clinton she taught at Sacred Heart School and Mount St. Clare Academy serving also as librarian. Other locations at which she taught were Vail, Iowa; Victor, Iowa; Maysville, Kentucky; Reedley, California; Freeport, Grand Bahama; Philadelphia, Pennsylvania; and Muskegon, Michigan. Sister Mary Paul retired to Mount St. Clare in 1982 and moved to The Canticle with her Sisters in 1997. In retirement she volunteered at Prince of Peace Catholic parish and at the Victory Center, both of Clinton. She moved to The Alverno in 2017 where she currently resides. Sister Rosalie Noder grew up in McNabb, Illinois. 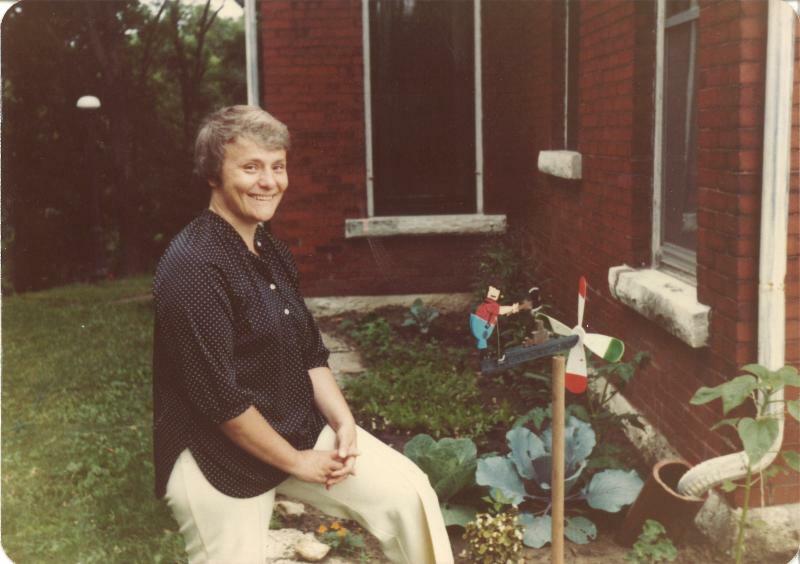 She met the Sisters of St. Francis while attending Mount St. Clare Academy, noting that her math and religion teacher, Sister Bertha Zeiser, greatly influenced her decision to enter religious life. Sister Cortona Phelan, who would later serve as president (1968-1996) foretold leadership qualities she saw in Sister Noder, saying "Rosalie runs on an independent ticket, Sister Noder recalls her telling the other Sisters. Early in her ministry she taught primary and intermediate grades in schools in Iowa, California, and Illinois. In 1969 she organized and began a 14-year ministry at St. Francis de Paula parish in Chicago which provided a food pantry, clothing center, senior citizens club, and the first Rite of Christian Initiation of Adults classes. By taking a census of the parish, Sister Roasalie noticed that a great number of children attending public schools were not receiving religious education and coordinated a program that later expanded to six Chicago parishes. She worked in three additional parishes through the late 1980s before she learned of a new epidemic on the horizon: AIDS. Compelled by the suffering of a friend, she began courses to assist people with AIDS. In 1991 she was named the Executive Director of AIDS Ministry of Illinois, in Joliet, but preferred her other roles there such as Outreach Services Coordinator, and Educator and Case Manager. She remained in AIDS ministry until December of 2002. After leaving AIDS ministry in 2002, she volunteered at Catholic Charities of Joliet, Illinois, in the Foster Grandparents program. In 2006 she returned to Clinton to live at The Canticle where she was the librarian and reading instructor to a LArche Clinton core member. Sister Kathleen Cleary is a Columbus, Ohio native who joined the congregation after graduating from Mount St. Clare Academy. She began the academy in her junior year, at the invitation of three great aunts who were Clinton Franciscans: Sisters Winefride, Regis, and Brendan Cleary. "I loved all the Sisters hospitality and kindness. I wanted to be a part of that, she said. She attended Mount St. Clare College, continued her education at Creighton University during several summers, and completed her undergraduate studies at Marycrest College, Davenport, Iowa, where she received a Bachelor of Arts in elementary education. Later she completed a Master of Science Degree in Counseling and Psychology from California Baptist University, Riverside, California. Sister Judy is grateful for her experiences. Preparing Jesus Christ Superstar at Mount St. Clare Academy was memorable. "I wanted the lyrics I dont know how to love him and Whats the buzz to resonate with those kids for the rest of their lives, she recalled. She also liked her position at St. Ambrose College. "I got to be in the seminary with the others who argued over theology. I wanted to ask the students, what do the documents say about how we can pray together? she said. She appreciated the two years at Aquinas, too, where she said she learned, "
what good liturgy could be. Sister Judy moved to The Canticle last year and is a part of the liturgy committee there. Sister Shawn Kelley was born in Burlington, Iowa. She attended Grimes Elementary School in Burlington and graduated from Burlington High School. After graduation she obtained a Bachelor of Arts degree in physical education from Iowa State Teachers College, Cedar Falls, Iowa and taught public school for seven years in Washington, Iowa. She later earned a Master of Arts Degree in Guidance and Counseling from San Diego State College, San Diego, California. Sister Shawn spent most of her active ministry teaching in parochial schools staffed by the Sisters of St. Francis. She taught at St. Anns, Lexington, Nebraska; Mount St. Clare Academy and College, Clinton, Iowa; Sacred Heart, Clinton, Iowa; St. Justin the Martyr, St. Louis, Missouri; St. Kierans, El Cajon, California; St. Theresas, Palm Springs; and St. Catherines, Riverside, California. During her years as a teacher, she served as physical education instructor, guidance counselor, English instructor and upper grade home room teacher. 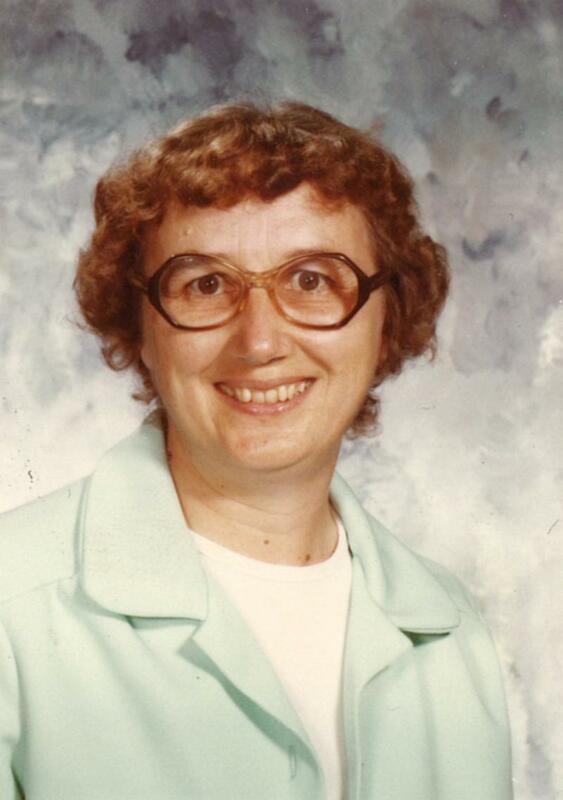 She served as a council member for the Sisters of St. Francis from 1972-76. "I liked teaching and I wouldnt want to say one school I liked better than another. All were great places, she recalls. After retiring from classroom teaching, Sister Shawn moved to Mount St. Clare Convent in 1996 and then to The Canticle in 1997. She assisted the Administrator of The Canticle for some years and also volunteered at the Discovery Center in Clinton. She continues to enjoy writing and sharing her love of reading in The Canticle book club and literature class. When the department turned away from the space program, most of the mathematicians walked away, including Sister Pascal. During her years at Aerojet she had met Clinton Franciscan Sisters living in Chino, California through her friend Sister McMillan. She joined the Sisters of St. Francis and continued her education at every opportunity throughout her years of full time ministry. She received a Master of Arts Degree in Teaching Mathematics from the University of Detroit, Michigan, and a Master of Theological Studies Degree from Franciscan School of Theology, Berkeley, California. She also earned a Spiritual Direction Certificate from Mercy Center, Burlingame, California, and completed further studies at various colleges and universities around the country. "I taught at Mount St. Clare Academy my very first year  math. Later I taught at Mount St. Clare College, too. I liked teaching. I got along really well with the kids, she said. She also taught for a year in St. Louis, Missouri, and a year at Franciscan Minor Seminary, Santa Barbara, California. She was Pastoral Associate at St. Pauls, Macomb, Illinois and part-time mathematics faculty member at Western Illinois University in Macomb. She served for almost 20 years at the Franciscan School of Theology, Berkeley, California, in a variety of administrative roles, including Assistant to the President and Dean, Registrar, and Director of Spiritual Formation. Sister Paschal returned to Clinton in 2004 and served for three years as administrator of The Canticle. She was vice president of the Sisters of St. Francis from 2004 to 2008. In her early years of retirement at The Canticle, she led book discussions for the Sisters and assisted with retreats. Her contact with students continued, as she has been a pen pal with a fifth-grade student at Prince of Peace School every year since the program began eight years ago.